Michael W. Heilman | Attorneys | Brick Gentry, P.C. "The attorneys at Brick Gentry are committed to providing zealous advocacy while maximizing the overall client experience. As part of this team, I focus my practice on understanding the full implications of my clients' legal issues and working tirelessly to craft an approach that best facilitates their long-term objectives." Michael is a member of the Firm's Litigation, Real Estate, and Municipal Law divisions and focuses his practice in the areas of commercial litigation, real estate transactions and general municipal law matters. Michael's commercial litigation practice focuses on the areas of creditors' rights, business and corporate transaction disputes, contract disputes and real estate disputes. 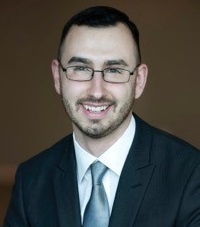 In addition to his litigation practice, Michael handles commercial and residential real estate matters, including lease negotiations, landlord-tenant evictions and foreclosures, quiet title actions, boundary disputes, and construction disputes. As part of his municipal practice, Michael provides advice relating to ordinance drafting, municipal court prosecution and operations, public bidding procedures, compliance with open meeting and record law, and general litigation matters. This varied experience allows Michael to provide legal assistance to clients in cost effective ways that minimize exposure and support long-term objectives. Michael is licensed to practice in both the state of Iowa and the state of Nebraska. In addition, he is a member of the American Bar Association, the Iowa State Bar Association, the Nebraska State Bar Association, and the Litigation Committee for the Young Lawyers Division. Brick, Matthew S. & Michael W. Heilman, “Iowa,” Employment at Will: A State-By-State Survey (BNA), Melinda J. Caterine ed., 2015 Supp. Brick, Matthew S. & Michael W. Heilman, “Iowa,” Employment at Will: A State-By-State Survey (BNA), Melinda J. Caterine ed., 2016 Supp. Brick, Matthew S. & Michael W. Heilman, “Iowa,” Employment at Will: A State-By-State Survey (BNA), Melinda J. Caterine ed., 2017 Main Volume (Publication Pending). 2016 Spring APWA/ISOSWO Conference, “Open Meeting Laws & HR Considerations,” West Des Moines, Iowa, April 2016. 2016 Iowa Employment Conference, "Retaliation in Employment Law: Avoiding Retaliation Litigation,” Altoona, Iowa, April 2016. 2017 Iowa Municipal Professionals Institute, “Drafting City Ordinances, Resolutions, and Motions,” Ames, Iowa, July 2017.